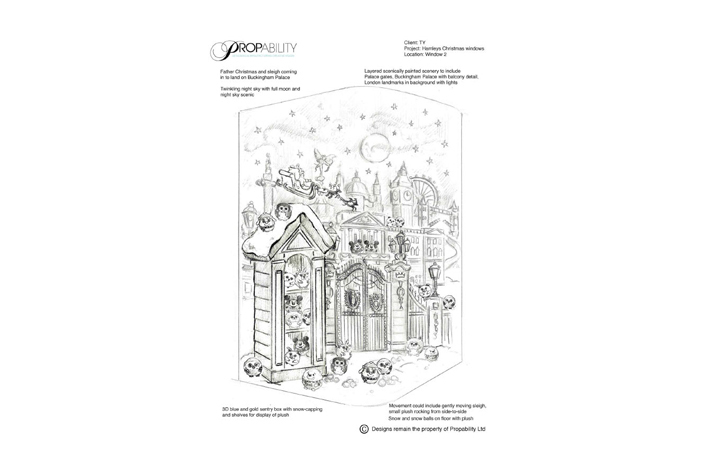 Propability were approached by TY the toy manufacturer to design and produce Christmas windows for product display at Hamleys toy store with a London feel. 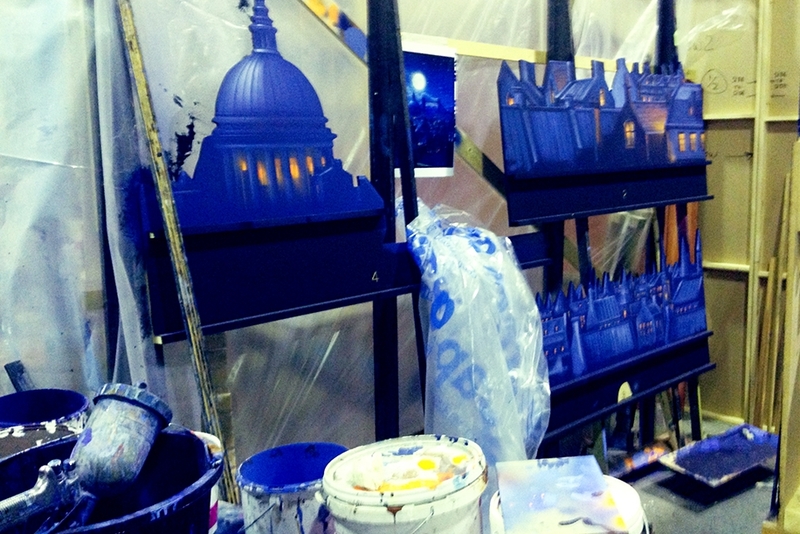 The brief included creating an interior room set, an ice rink scene and a London skyline with Santa Claus in a sleigh. The window was also to include animation. 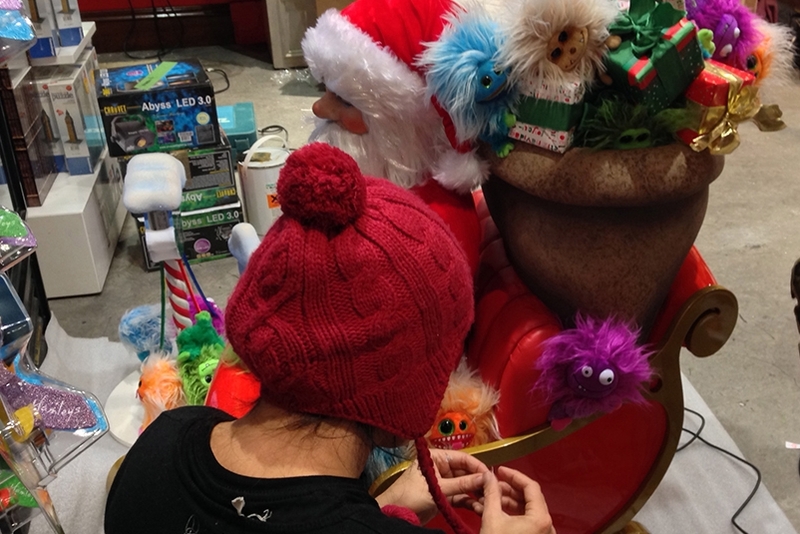 In our workshop the project came to life, with all props and animation across four windows in total, designed in conjunction with the Hamleys visual merchandise team and produced and installed by Propability. An animated life-size Santa, as well as a Santa in a sleigh with reindeers gently bobbing through the snowy skyline were created together with a snowy London scene. The mechanism within the animated Santa was prudently tested to ensure its durability for continuous use throughout the festive season. 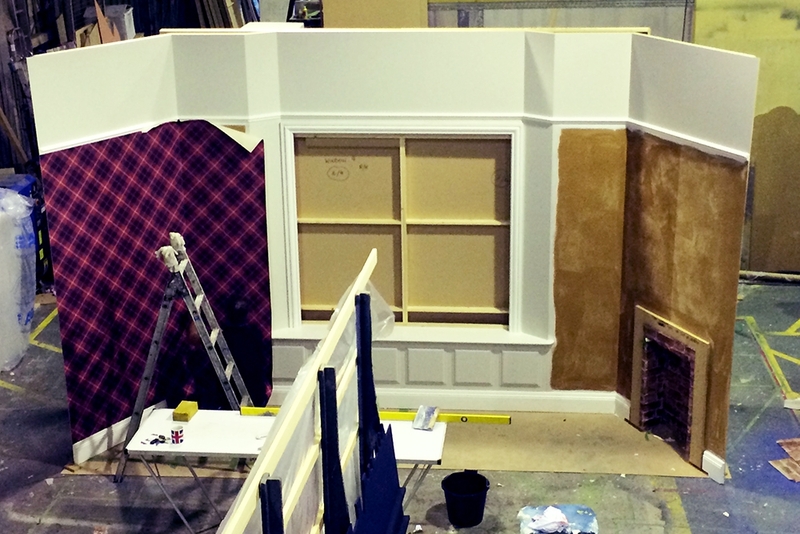 A made to measure snow wall was included along with all windows being beautifully painted with scenic backdrops and LED light effects. 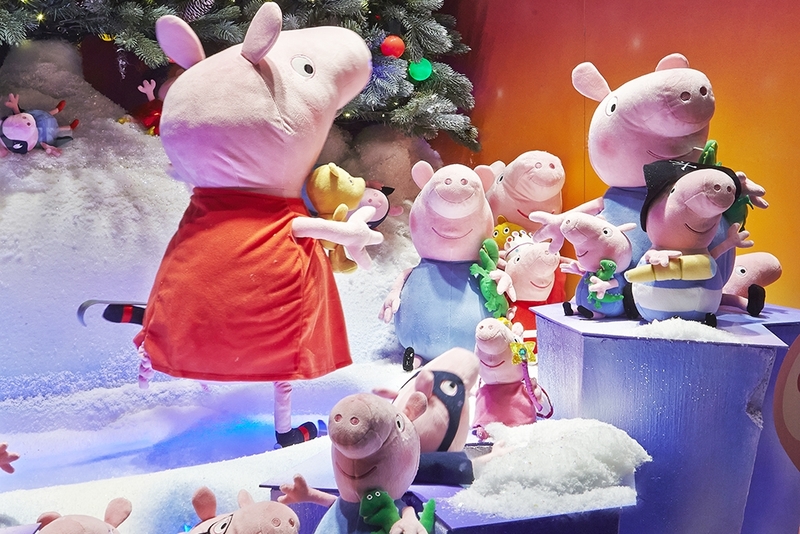 Twinkling lights, movement, magic and colour truly captured the imagination of Christmas. The animation – which can be notoriously challenging – perfected the snowy setting, with Santa Claus gliding softly over roof tops and TY products displayed within and around the scenery. 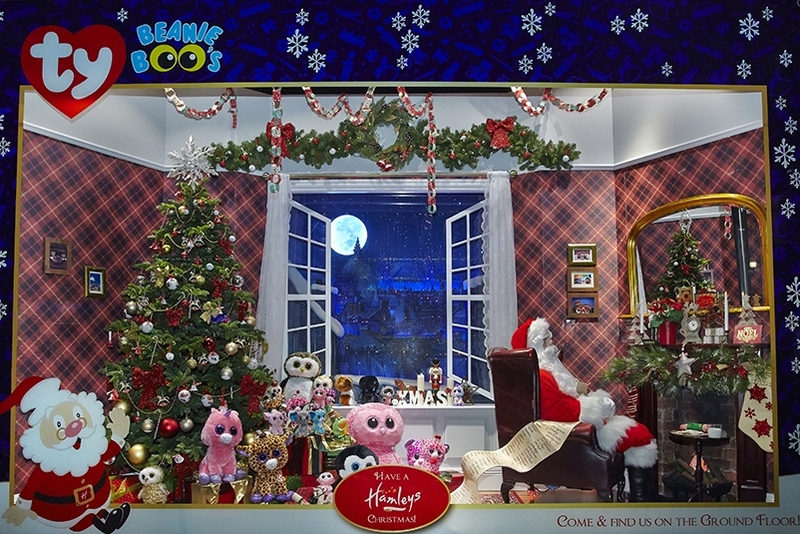 The outcome was a four piece window display that delivered on brief to maximise product display alongside an appealing recreation of Christmas with a snug and cosy look and feel.